If it hadn’t been for several torrential downpours in 1992 and a couple of heavy storms in 1995, Israel’s Nahal Taninim Nature Reserve as we know it today simply wouldn’t exist. 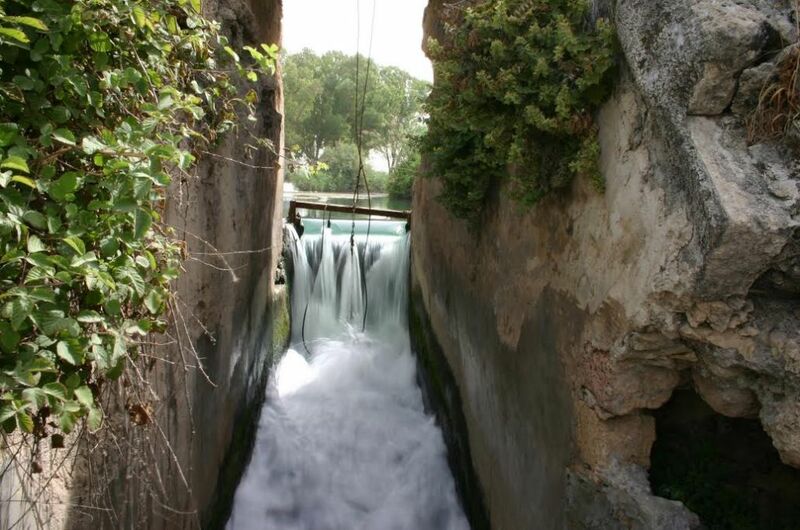 But fortunately for us nature lovers, water pouring into the sea near Kibbutz Ma’agan Michael and Zichron Ya’akov flooded the Tel Aviv-Haifa highway each time, and the powers that be decided that they had to take action. 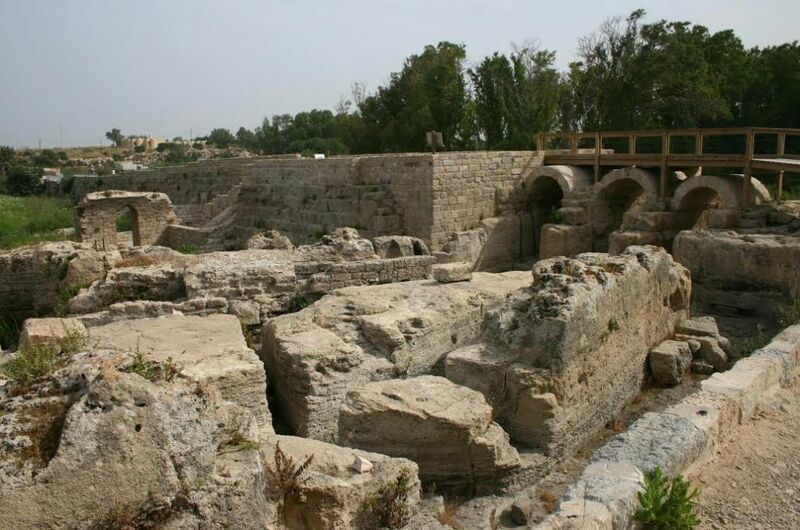 The problem stemmed from a dam that the Romans built two millennia ago to transport water from Nahal Taninim to the coastal city of Caesarea. In any kind of serious downpour the 1,500-acre lake formed by the dam would fill up to the brim. And since openings that the Romans carved into the dam walls were blocked up with debris, the overflow would end up on the road. For five years the relevant bodies put their heads together, trying to decide what to do. 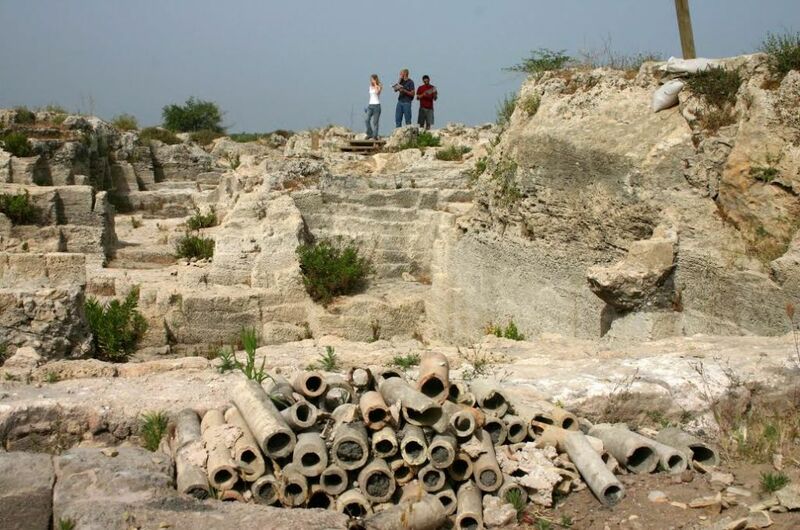 Finally in 2000, with the help of the Jewish National Fund, the Israel Antiquities Authorities and the Drainage Authority, workers began clearing out the dam and cleaning up its walls. But the project yielded some unexpected results. Three arched openings in the dam wall, heretofore undiscovered, suddenly came to light. So did large portions of the wall and six flour mills, along with new pieces of the two existing aqueducts and a third conduit that had been covered with silt. Best of all, some of the area’s 3,000 springs burst onto the surface of the newly cleared dam and created a completely new lake. 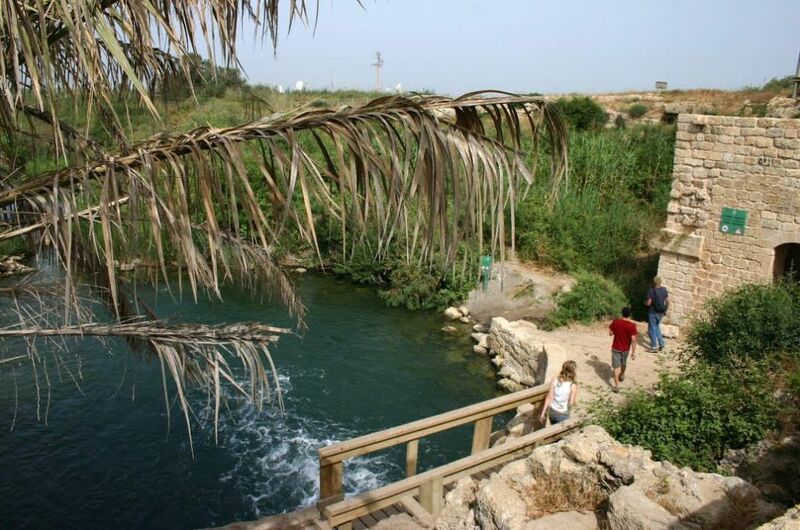 Today’s Nahal Taninim Reserve, which opened at the beginning of the 21st century, is beautifully maintained and includes the glistening lake, a flowing Taninim River, flora, fauna, quarries, an aqueduct high enough to walk through, and the entire ancient dam. Allow yourself several hours for exploring the historical sites, stopping to rest under shady trees, and sitting by the glorious Taninim River. Near the beginning of the circular route through the reserve there is a long narrow canal called the “unfinished aqueduct.” The Romans would have had no problem carving it out, since they had plenty of slaves and soldiers. But why they did it remains a mystery, since it doesn’t go anywhere. The whole family will enjoy walking through the aqueduct. As the walls become ever higher, note how smooth the sides of the rock have remained. 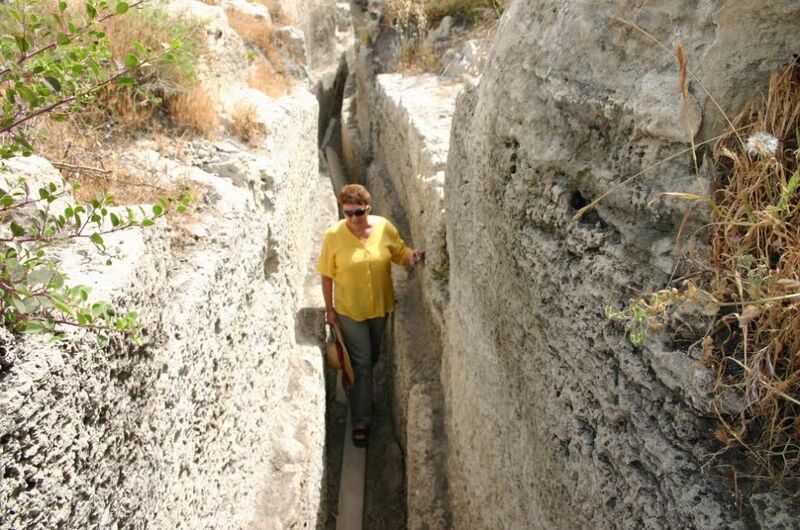 This is proof that this aqueduct was never used to transport water. 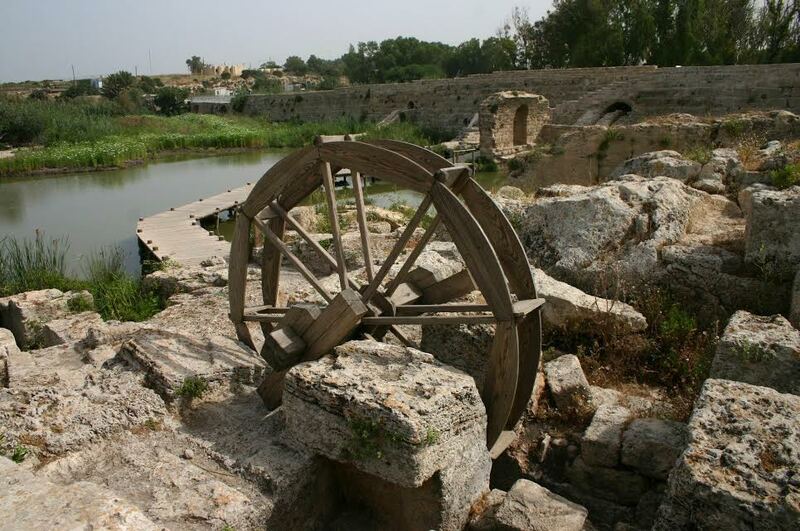 In the Byzantine era, local residents took advantage of the dam to operate over a dozen flour mills. One of the most interesting finds during development of the reserve was a vertical waterwheel from that early period. 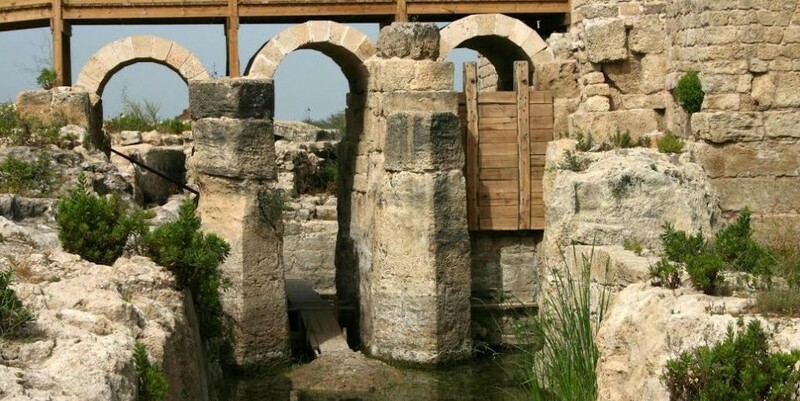 Rare in Israel because they require a great deal of water, the few vertical waterwheels so far uncovered in this country date back only to the Crusades. On your way to the lake, look for a reconstructed waterwheel and explanatory signs and drawings. The Turks who ruled Palestine from the 16th to the 20th centuries used a different method for setting the wheels in motion. 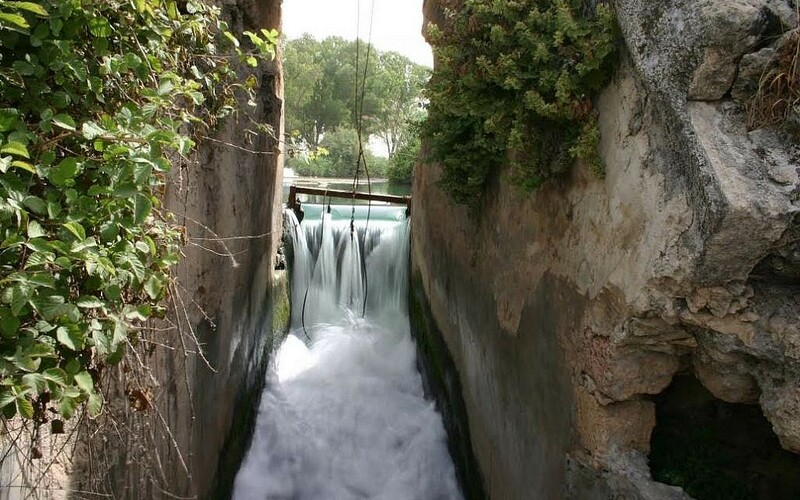 They built steep slides that began at the top of the dam and dropped several stories down to the mill: the resulting water pressure turned a horizontal waterwheel that, in turn, moved the grindstones. Several of the slides have been cleaned and restored, and are found next to the walls of the dam. Flowers bloom in many parts of the reserve. Autumn brings masses of tall squills, the harbingers of rain; winter crocuses appear soon afterwards and later on masses of delicate cyclamen begin flowering in the rocky soil. In early spring poppies, anemones and asphodels begin to blossom; in late spring, bi-colored narrow-leaved viper’s bugloss adds splashes of color to the antiquities. The path that leads out of the lake and to the top of the bridge is called “donkeys’ trail,” named for the beasts of burden that carried flour from the mills up to the road. Follow the path to the bridge to get a really good look at the reserve’s three newly uncovered openings in the dam wall. One of them features a reconstructed wooden gate demonstrating how the flow was regulated in ancient times. All of the apertures had wooden gates that were constructed of elm wood, Syrian ash and pine. A 2,000-year-old board game is stuck in the ground at your feet. Called mankala, and originating in Africa, it consists of a board with two rows of seven hollows each. Participants used shells, seeds or stones while playing mankala, and the player who ended up with the most pieces in his “home pit” at the end of the game was the winner. The path crosses the murky Ada River, with its thin foliage. Although the quality of the river has improved in recent years, it is still sadly polluted by factory waste it picks up as it flows towards the sea. But visitors forget all that when they reach the Taninim River. Shady, sparkling, with a fantastic flow, it contains 14 kinds of fish, freshwater turtles, toads, frogs, crabs and sea otters. Sea otters can only live in uncontaminated water, and on the Israeli coast are found only in Nahal Taninim. Taninim River (Crocodile River) probably got its name during the Roman era, for travelers reported sighting Nile crocodiles in the water. Some experts think they may have been brought to this region to battle slaves in the Caesarea arenas although they could have arrived by way of the Mediterranean after a very long swim. Crocodiles continued to live in the river for thousands of years, but the last of these toothy creatures was shot and killed at the beginning of the 20th century. If you visit the Taninim River and, like some tourists, expect to find a flow rivaling that of the Mississippi — or natural phenomena on the scale of Niagara Falls — you may be disappointed with this nature reserve. But if you keep in mind that this is Israel, after all, and that the Taninim River is the last naturally unpolluted river in the whole coastal area, you will have a fantastic time. 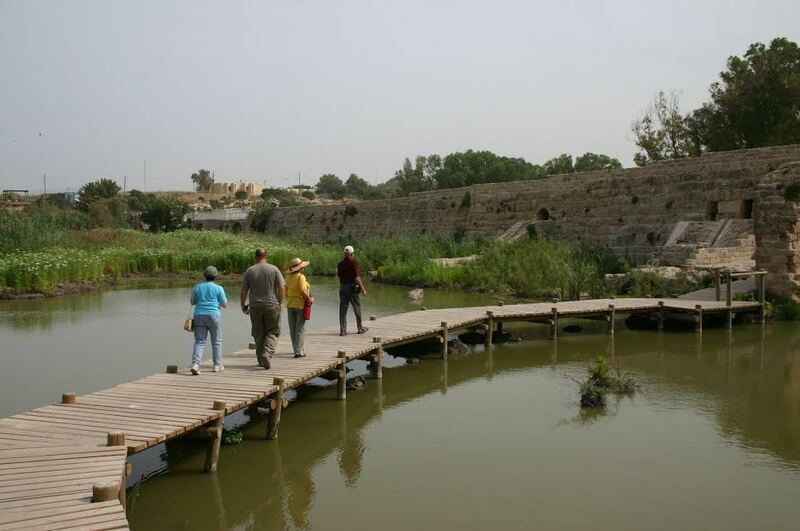 Tzippori National Park – Arts and Crafts fair in the style of Ancient Rome, with music, workshops and more. October 11-12, 10:00-15:00. Hai Bar Yotvata Nature Reserve – Creativity workshops, tour at sunset, watch the animals eat. October 10-14, 9:00-16:00. For directions to Nahal Taninim, which is located near the village of Jasr Azarka, please write to us at israeltravels@gmail.com. For more information on events see www.parks.org.il or call, in Israel, *3639.